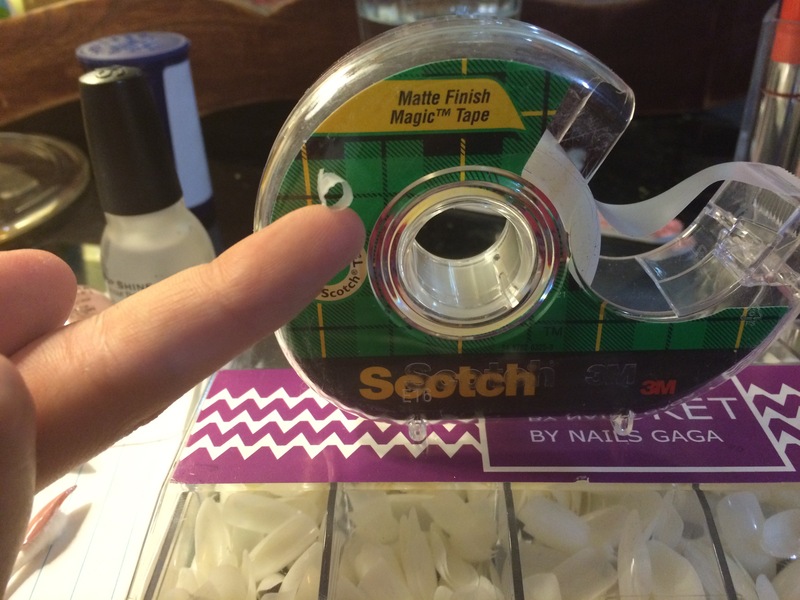 Starting off, I filed each nail into a nice point because they didn’t come very sharp at all. 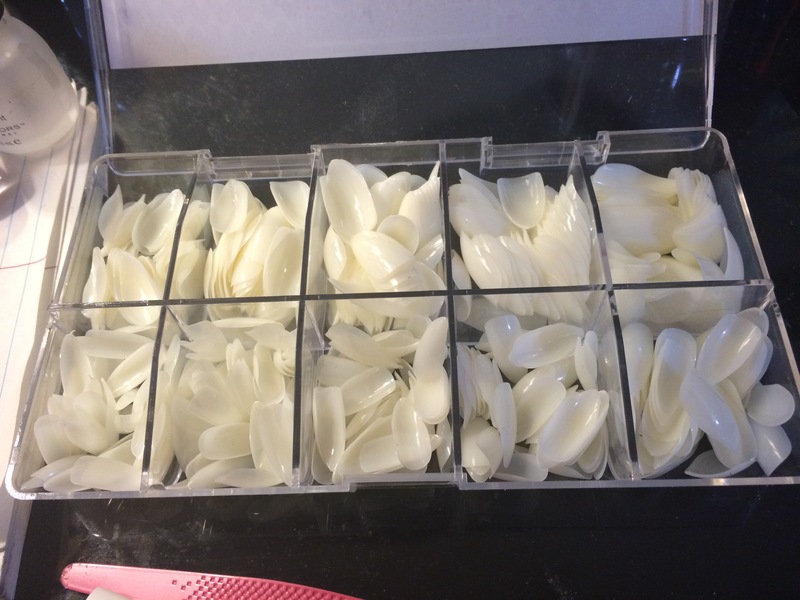 This is the time consuming part, but it’s worth it to make nice, sharp talons. Secondly, I prepped my nails. 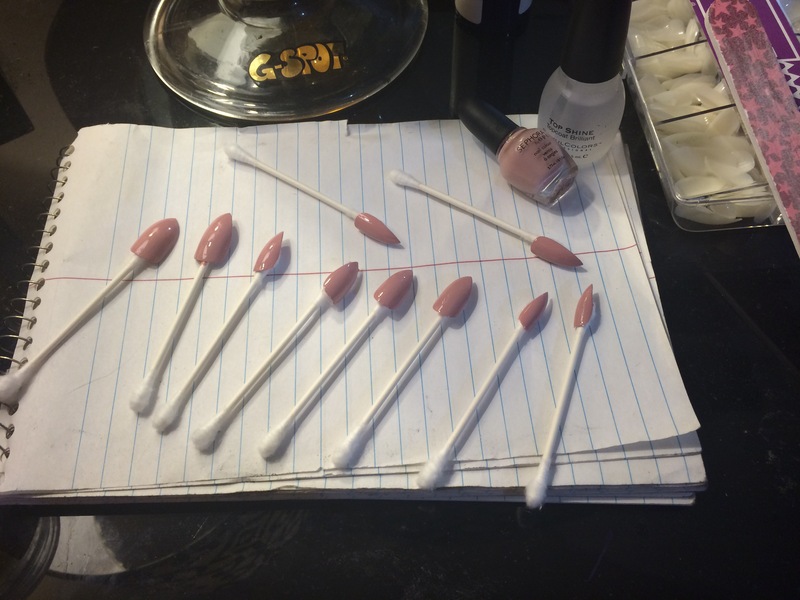 Filed them down and lightly filed the surfaces of my nails to give the fake ones something to hold onto better. 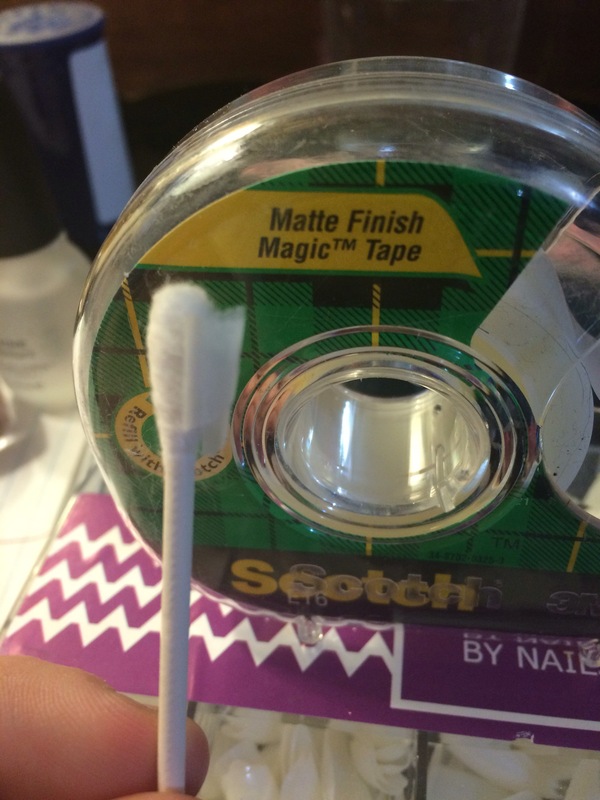 Next, I started assembling my helpful q-tip tool for holding the nails while I apply the nail polish! 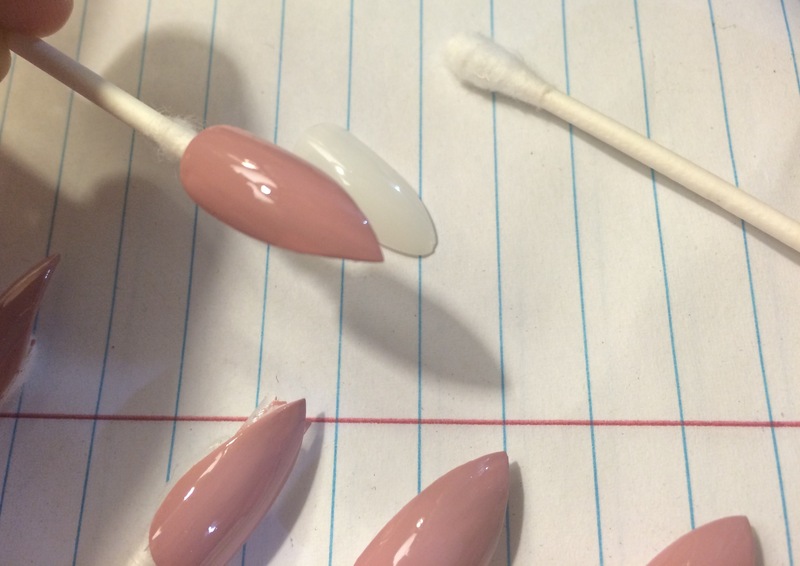 Here is a close up picture of how sharp I filed these ones compared to how they came… That white nail below the pink is an original, pretty round right? What do you think? Leave me your thoughts and comments babes ❤️ Keep tuned for some new awesome brands i’ll be sharing with you! Have a beautiful night. Hi babes! I wanted to share a little gem i found on Etsy recently, it’s a hand painted false nail shop located in Florida called Badashnails. The owner Ashleigh, can custom make any shape, color or other requests you may have for a really great pricing and shipping was fast. I ordered a pair of these gorgeous deep purpley grey stiletto nails and i am so impressed, i really think i am going to be ordering many many more haha, and create some custom ones as well! 🙂 Let me show you what i received! They look a tad lighter in person, i have a picture that will show their truest shade if you continue reading. All though this is pretty close to what they look like. These are truly beautiful and she spent time filing them into a nice sharp claw for us ladies who like them sharp💖💅🏼 😉 She also offers the other standard shaped nails like coffin, square tip, oval & also the finishes.. 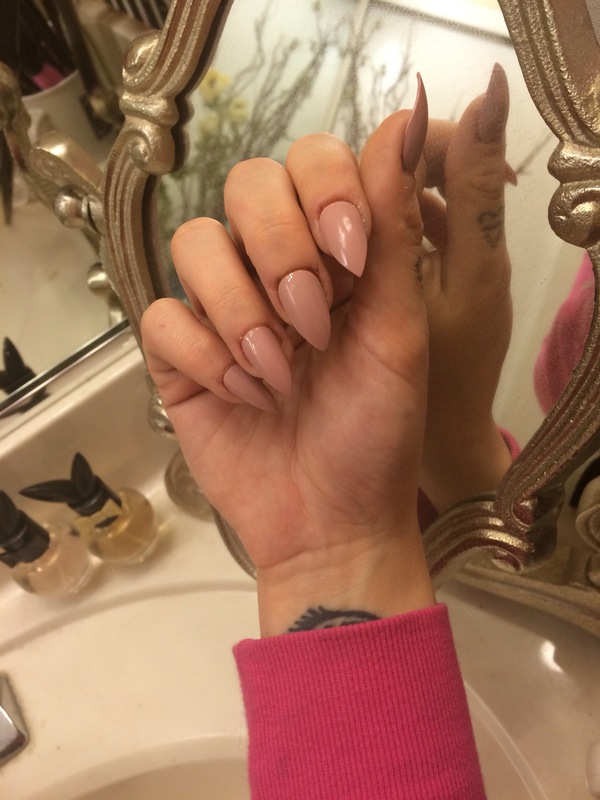 I chose matte stiletto! This picture above show their color perfectly, and i am in love with it. 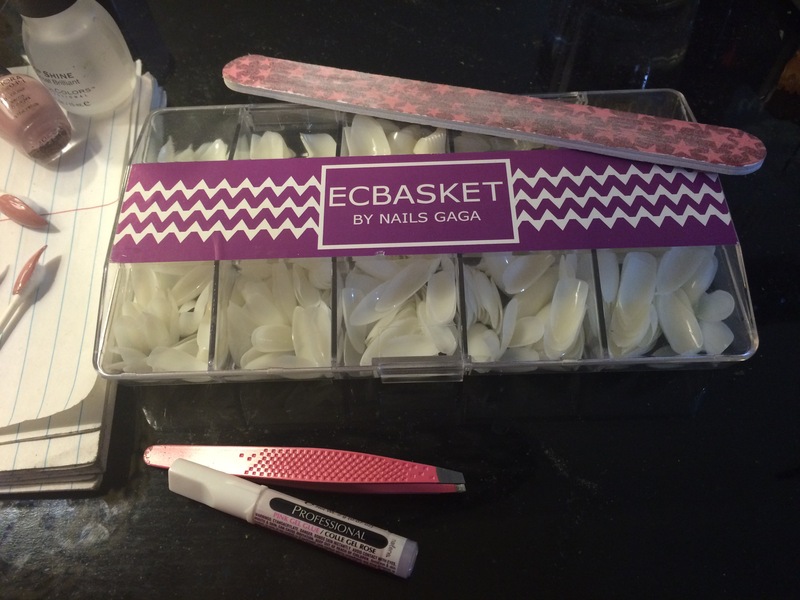 They have stayed on wonderfully and are still sharp and the color hasn’t faded at all. 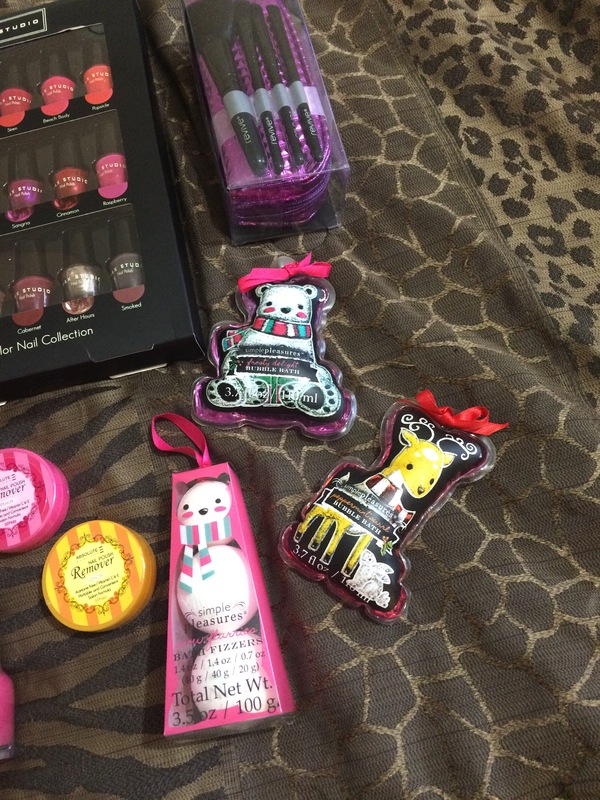 I am so happy i purchased them! ❤ I suggest you go check out her shop if you are interested, https://www.etsy.com/shop/Badashnails. Thanks so much for reading loves! I hope you enjoyed this post and have a great Holiday with you families ❤ Leave comments & thoughts if you’d like! 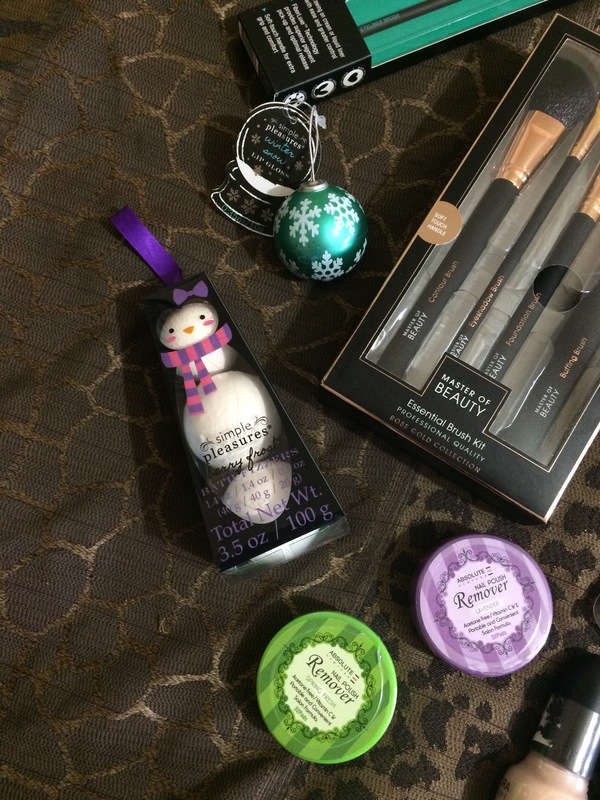 ENTER IN MY: Christmas Giveaway! Hey again honey bees! 🍯🐝💕 I wanted to announce that i will be hosting another giveaway starting RIGHTNOW, this time there will be a first place winner, and a second place winner. Open to U.S. Only this time 😭 My apologies loves. Both of these packages are pretty sweet, but the whole point is to have two of you wonderful & supportive followers of mine get a nice christmas gift on me! 😘💓 Hope you guys like what i picked out for you! So that’s all of the items for now! 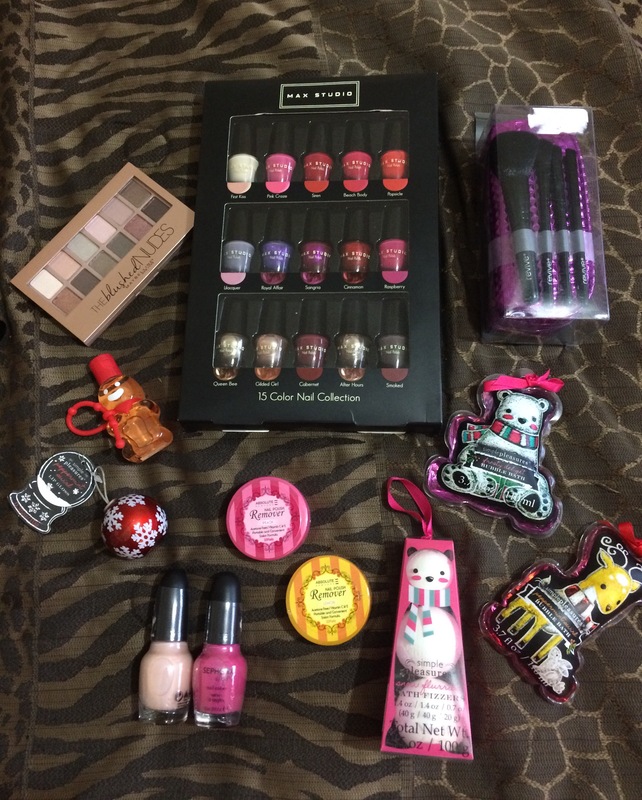 I might add some more items per package over the course of the giveaway time.. (Lip products, mascaras etc.) 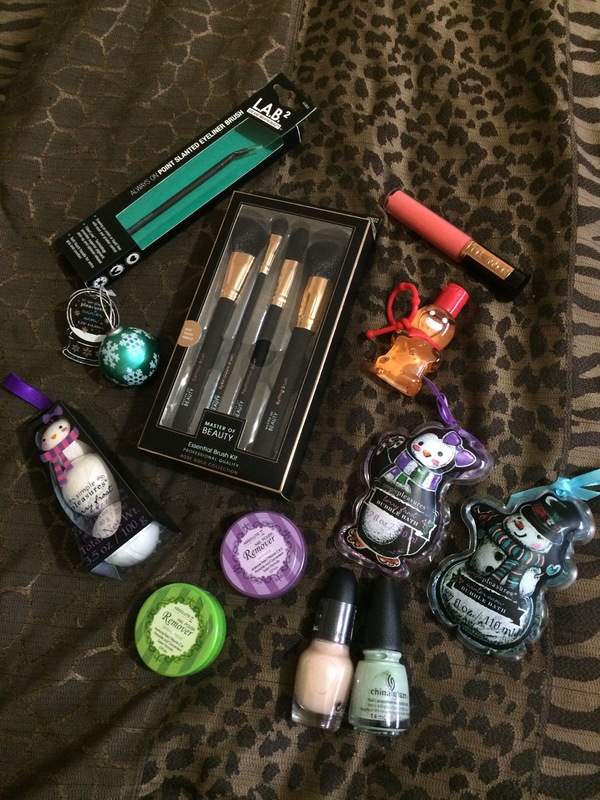 It will end Friday December 4th, and i will then announce winners 1 & 2. 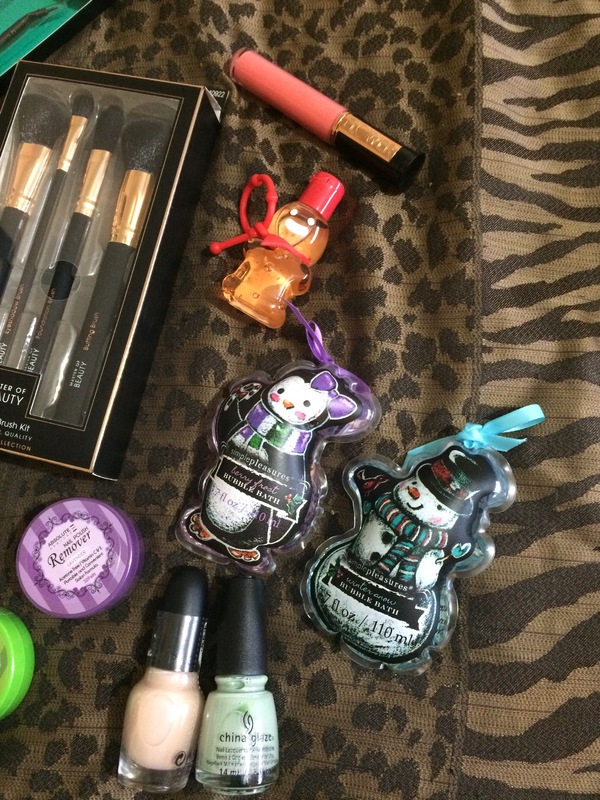 If you want an extra entry reblog this post and leave me the links ladies! 💖 Love you xoxo! Golden Cranberry Holiday Makeup Look! Here are the basic items i used to achieve this look flawlessly..
Hardy Candy ModQuad in “Pink Interlude” top 2 colors in my inner V and on brow bone highlight & bottom right burgundy color in my crease. 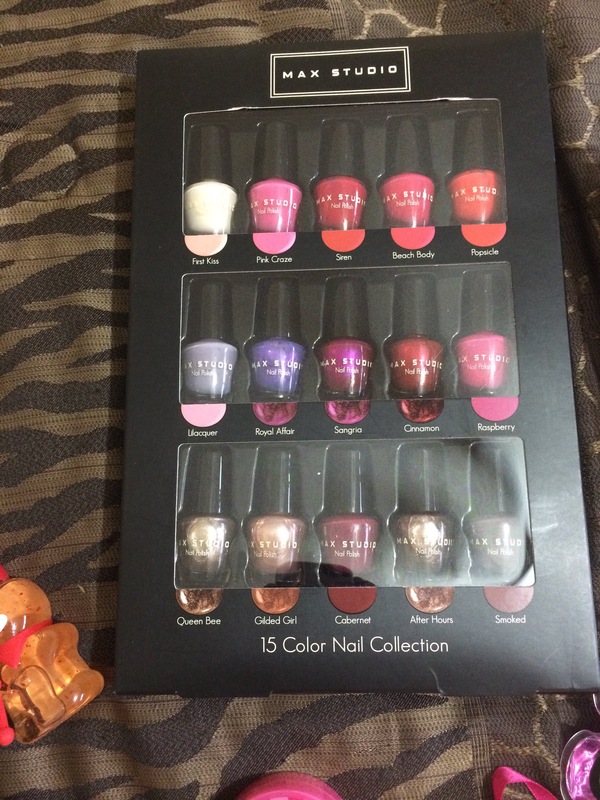 Maybelline Blushed Nudes-bottom row color # 5. I really hope you liked this look! 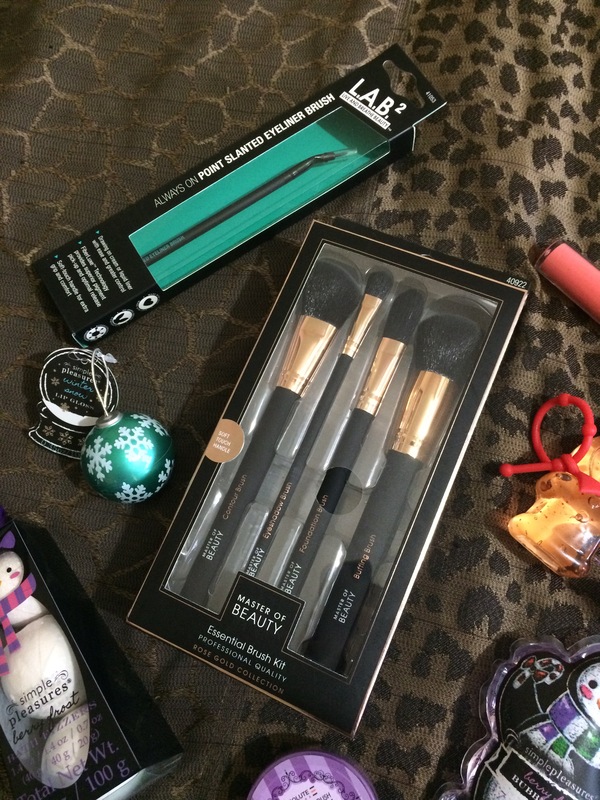 Leave me comments and thoughts ❤ 🙂 Keep tuned in for my AWESOME Christmas giveaway post coming SOON!!! 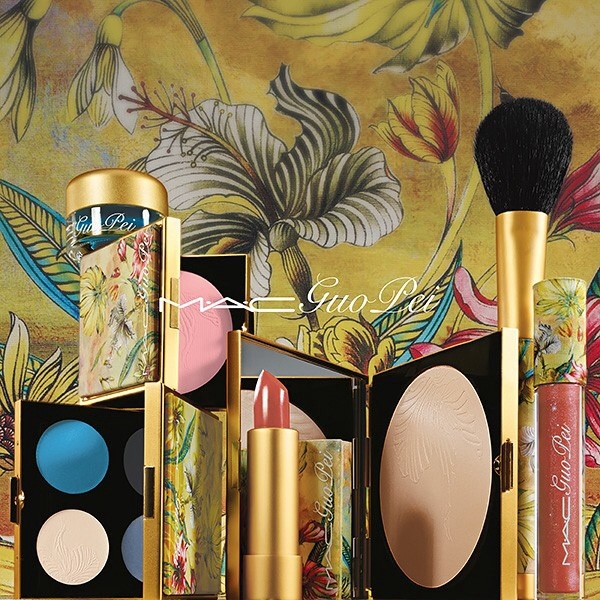 MAC Guo Pei “Garden of the Soul” Collection! Hi ladies! ❤ Hope you all are well & healthy & happy! 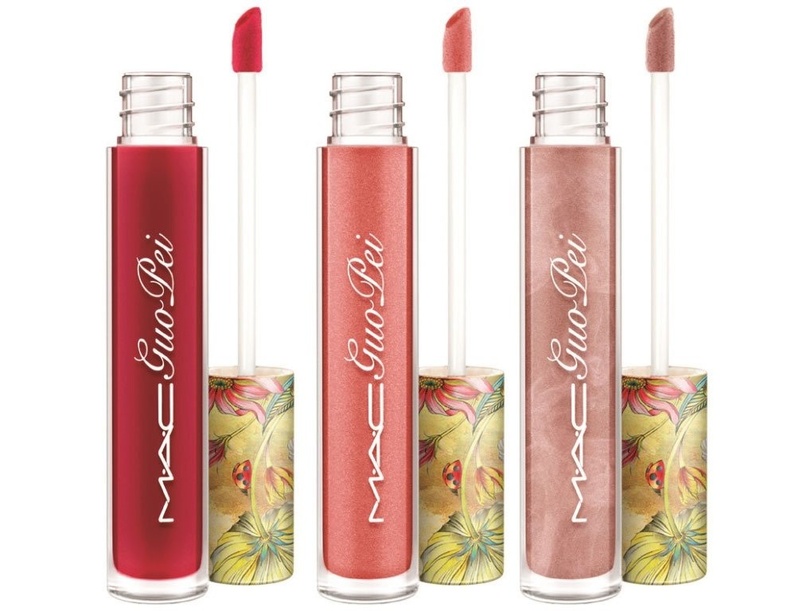 Just thought i would share this with those of you who don’t know about this yet, Guo Pei has a collection available now with MAC cosmetics. 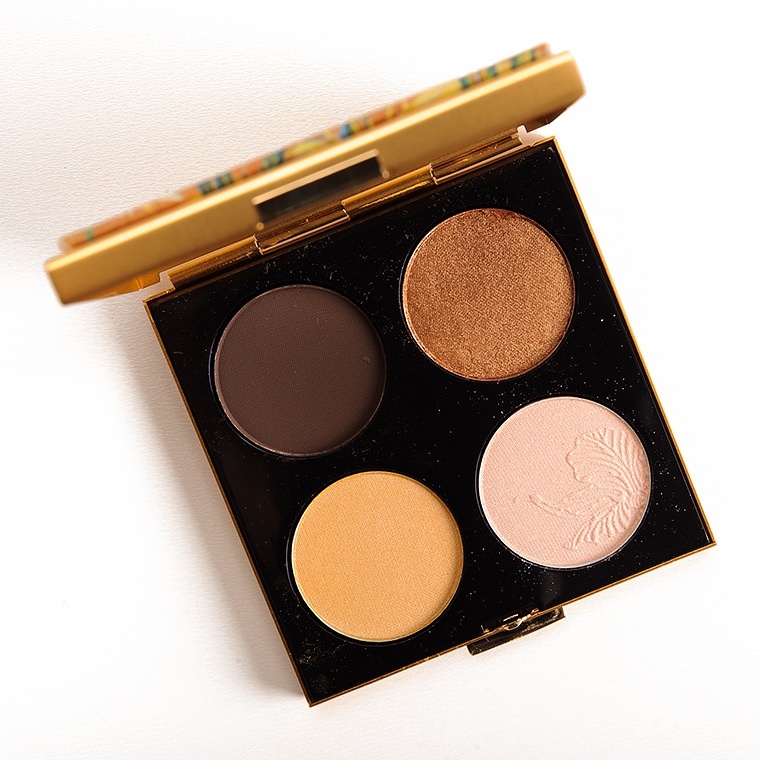 The colors available in shadows, liners, blush, etc; are breathtakingly beautiful and vibrant jewel tone masterpieces. Mixing bold colors with class and elegance and I for one, am IN LOVE. And plan on purchasing quite a bit. Take a look at some pieces of the collection.. 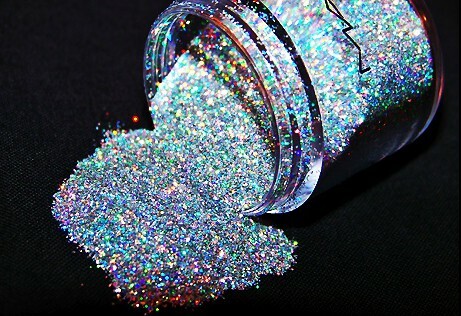 I find these products to be so interesting, artistic & cultural, and definitely something different for a MAC collection. As you can see there are gorgeous gel liner pots, quad shadow palettes, single blushes, special “garden of the soul” brushes & even more available in this particular collection. 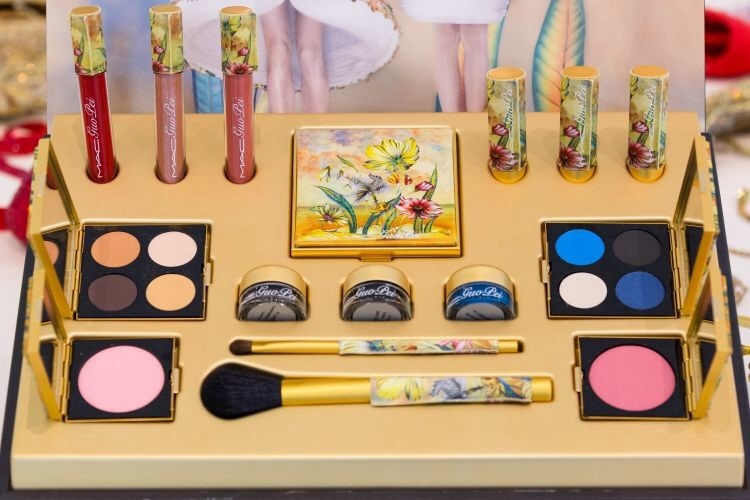 I have no doubt that girls will be buying these items up not only because of the eye catching & feminine packaging, but the colors and shades that are focused on are just so wearable and unbelievably glamorous at the same time. 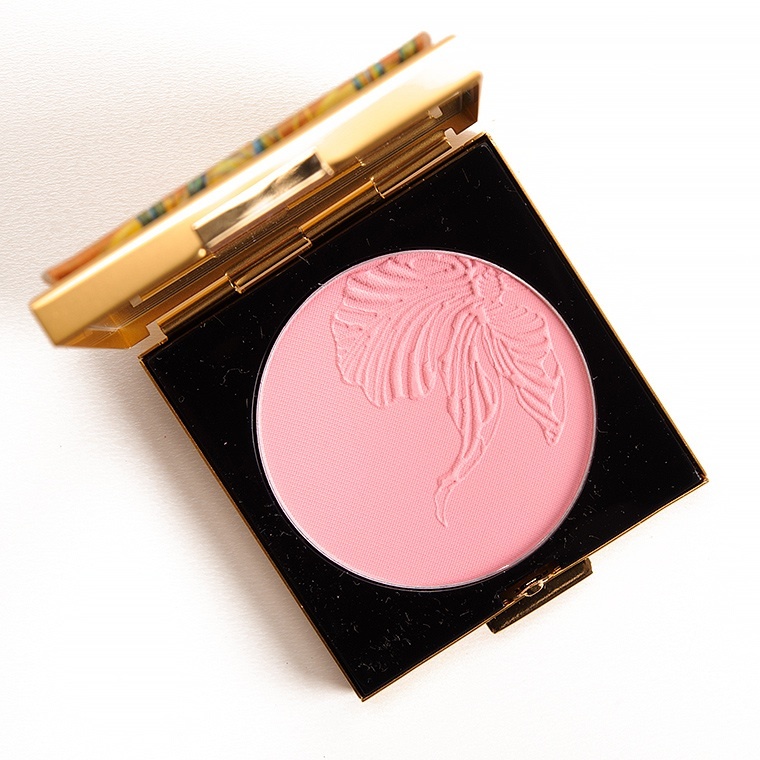 Head over to MAC’s website right now and pick out something you love from the Guo Pei Collection!